I love this "girly" top paired with my new distressed denim shorts from Charlotte Russe. They are so soft and only $25! I went up 1 size because I wanted them to be loose. This shirt is to die for! They are super trendy right now!! Love the tassels in this one! 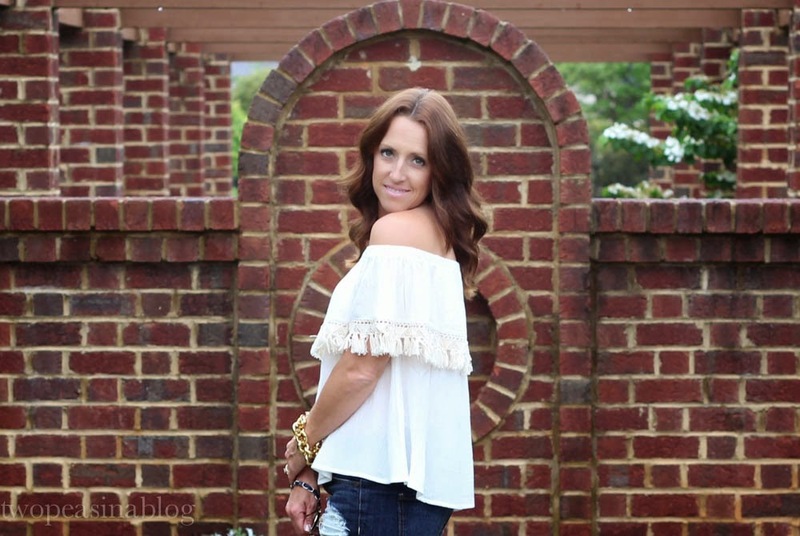 I am in love with off the shoulder tops! They are kind of my go-to! This one is absolutely perfect with the tassel detail -- I might just have to snag one for myself!! This one is fabulous, I'd recommend it. 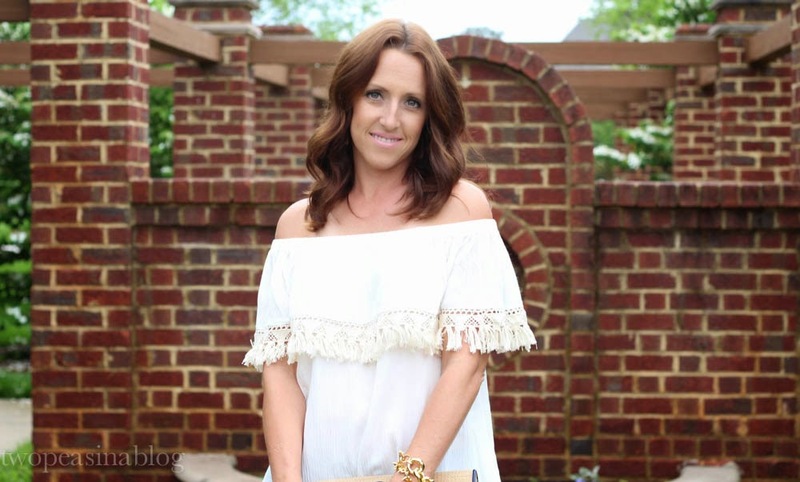 Off the shoulder tops are great for summer. That top is so cute! I love your whole outfit! Thanks, it is a great top!! Love this post! Your bag is so unique and super cool! Thanks. 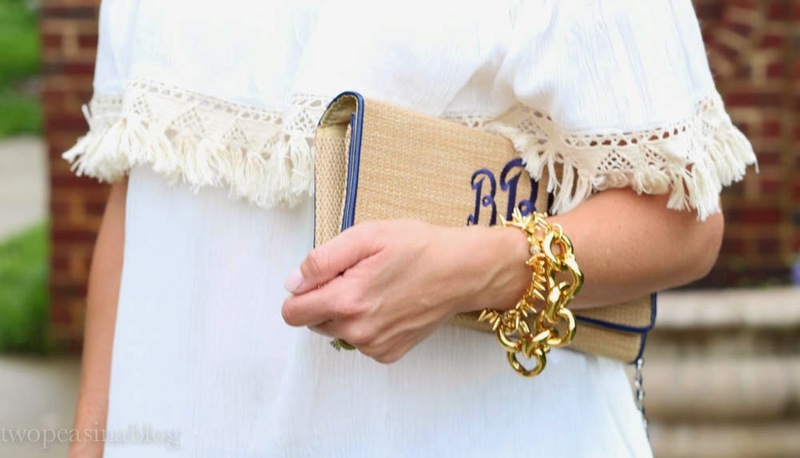 I got the clutch from a local boutique. 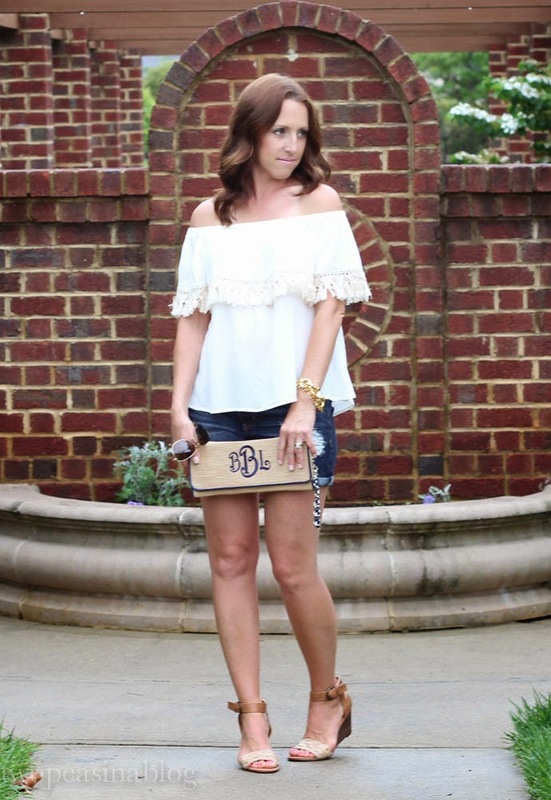 I love anything monogrammed!! Oh my goodness! Me too!! 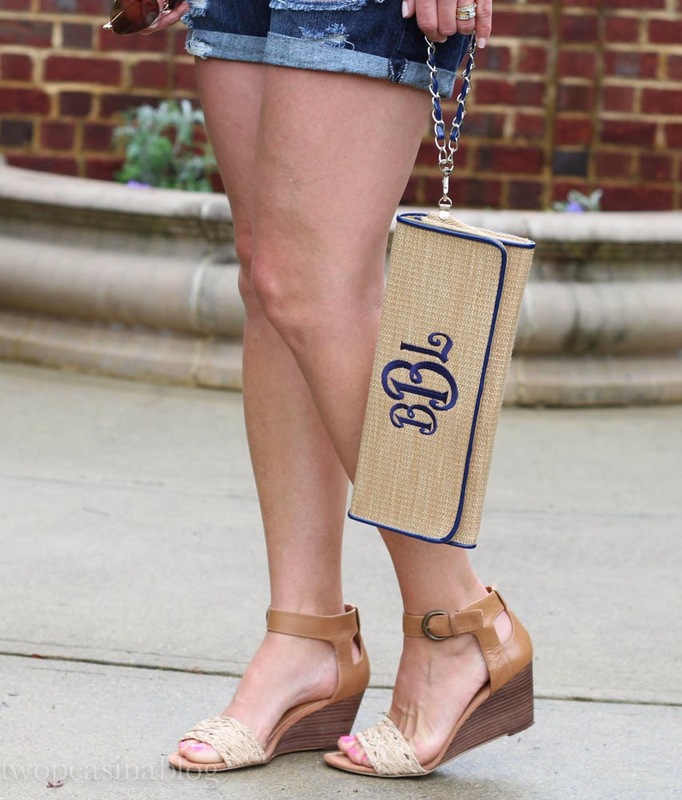 I love anything and everything monogrammed. I love this look! This is the perfect Sunday Funday outfit for the beach. 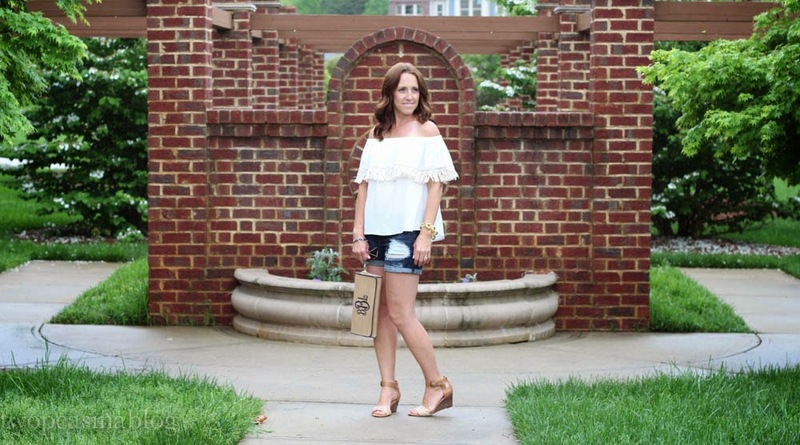 I have to get my hands on one of these cold shoulder tops soon! Thanks so much! I'm loving them too. I think I need another one...or two. hehehe Such a fun look.